The Manawatu Turbos were formed in 2006 as the New Zealand Rugby Union launched its new provincial competition which we now know as the Mitre 10 Cup. The Turbos become well known for their exciting brand of attacking rugby that has helped launch the careers of the likes of Aaron Cruden, Aaron Smith, Nehe Milner-Skudder and Ngani Laumape. Among the many highlights in the Turbos’ short history is winning the 2014 Championship final. But the roots of the Turbos dig deep into the proud history of the Manawatu Rugby Union, which was established in 1886. Since that time the union has produced 41 All Blacks. Manawatu has twice held the Ranfurly Shield. The first time was in 1927 as Manawhenua, a combined team of Manawatu and Horowhenua. 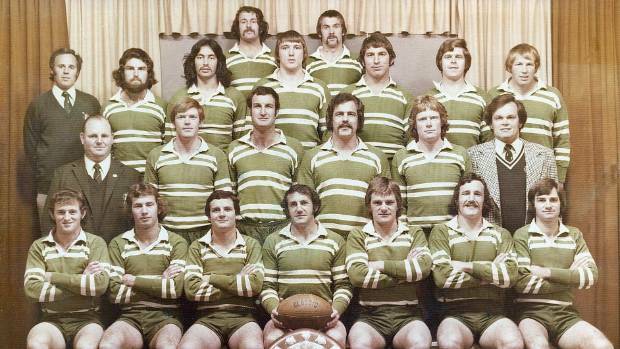 But the union’s undoubted golden streak started in 1976 when Manawatu won the famous Log o’ Wood off Auckland before defending it 13 times through to 1978. The impact of legends like Sam Strahan, Gary Knight, Kevin Eveleigh, Kent Lambert, Mark Shaw, Doug Rollerson, Frank Oliver and Mark Donaldson has helped shaped a union that continues to produce talent at an extraordinary rate.